There may be times when you want to delete items from your Kindle permanently – never to be seen again. 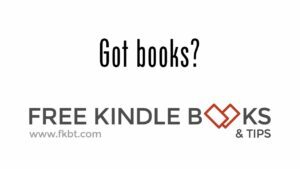 I’m not talking about just from your Kindle, but permanently from your Amazon records so you can’t ever download it again. Forever. Your children, significant other, or someone else can also access your account with their Kindle, Fire, or Kindle app for the thousand of other electronic devices, and you do not want them to know what you have been reading – maybe it’s a lusty romance or any other book you may not want them to read. For example, if you’re a parent you want to be able to monitor what your children are reading. You downloaded a book you thought was one thing, realized later it was something else, and you never want to see it again. For example, that would be a situation I would find myself in if I downloaded one of the Harlequin romances – they are just not my thing. It is also well-known Amazon utilizes what is in your list of books to market to you. I have some experience with this one, as I received some really strange recommendations for a particular genre after I bought a Kindle book I thought was one thing but turned out to be another (enough said on that one). Once I permanently deleted the title I thought was causing this particular point of targeted marketing, those recommendations disappeared for good. First, remove the title from your Kindle if you haven’t already. In this section, locate the item in the search bar just below the “Content” menu item. If you have lots of books in your library it will take some time for all of them to load. If that is the case, you can enter the name of the book – or a portion of the name or the author’s name – in the search bar on the right-hand side of this page: just look for the little magnifying glass to the left of the “Search your content” text box and to the left of the “Search” icon. Once you have located the title, click the “Actions” icon located to the left of the title. A word of caution – if you delete the title and want to read it again you will have to buy it again!